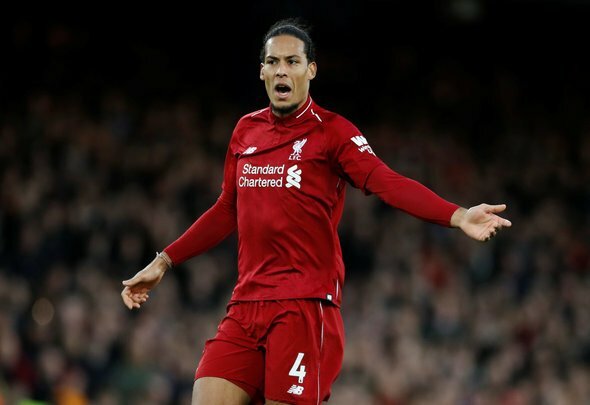 Liverpool legend Luis Garcia has been blown away by the impact defender Virgil Van Dijk has been making this season, and says he is a player who “makes it look easy”. He says that the 27-year-old is someone who is always in the right place at the right moment for the Reds, and admits that some of his attributes – including passing from the back – are very hard to find in a player these days. Garcia adds how he is a huge admirer of how the £180,000-a-week [Spotrac] ace is always bossing the pace of a match, which is why he is so important to Liverpool. “Van Dijk makes it look easy. I think he is one of those top players that you need in your team, not only because of the way that he plays, but also because of the personality and the character he brings on the pitch,” he said, as quoted by Sky Sports. “On the pitch he is always in the right place all the time. He’s got the tempo of the game [under control]. Sometimes he leads from the back if he wants to go fast or go slow [and] it’s very difficult to find players like this. What more praise can you heap on a player like Van Dijk? He is no doubt one of a kind, so it is no surprise that he has also earned some compliments from a former player like Garcia. The Dutch international has been at the heart of Liverpool’s success this season, and he is no doubt firmly in the running for player of the season this year. The Reds have conceded a lot less goals with him at the centre of the defence, and it is hard to envision him leaving the club for a very long time – if at all. He seems to be in his element playing for a club like Liverpool, so there is no need to want to make a move to anywhere else. That being said, he is no doubt being eyed by Europe’s elite – but the Reds should not be worried in the slightest about him leaving. He is at Anfield for the long haul, there is no doubt about that.